Hi lovelies! I hope you are doing wonderful while enjoying spring time. I've been doing great myself and I must say I've been a tad busy but I've still managed to have time for wine country. 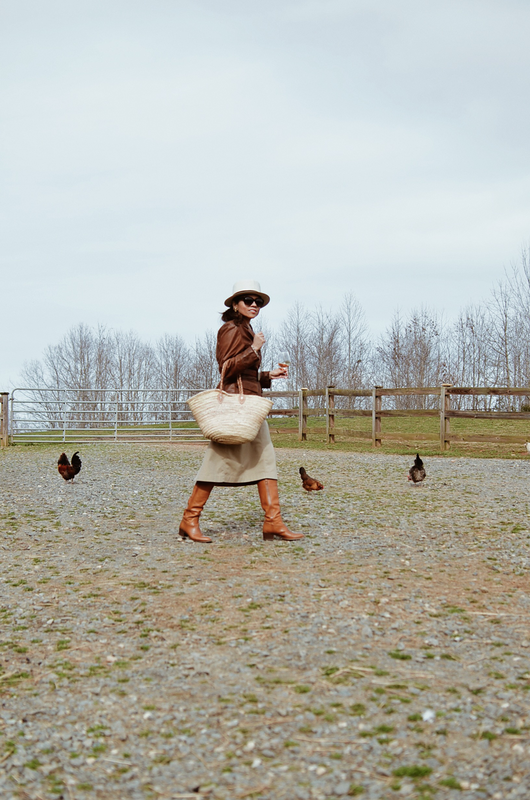 Today's photo-shoot was taken a couple weeks ago and I finally had the chance to share with you on the blog. 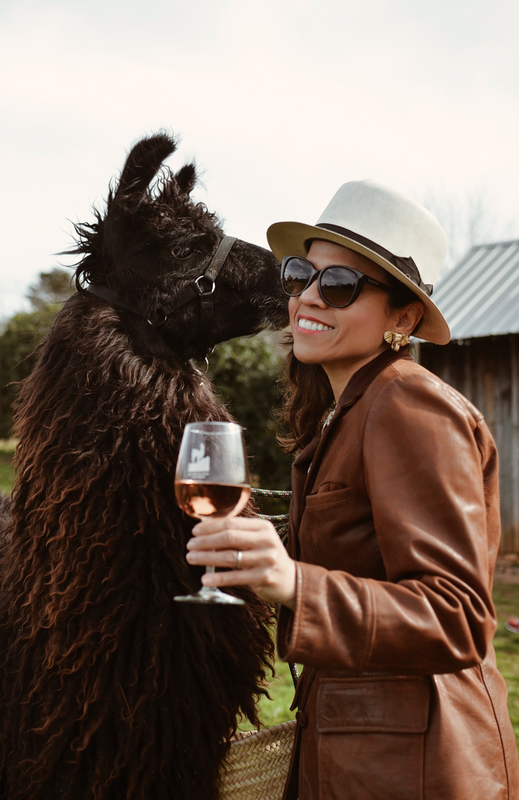 This post is all about a terrific time I spent at Divine Llama Vineyard located in the Yadkin Valley, here in North Carolina. The weather was around 65 degrees, therefore, still great for boots and leather wear. 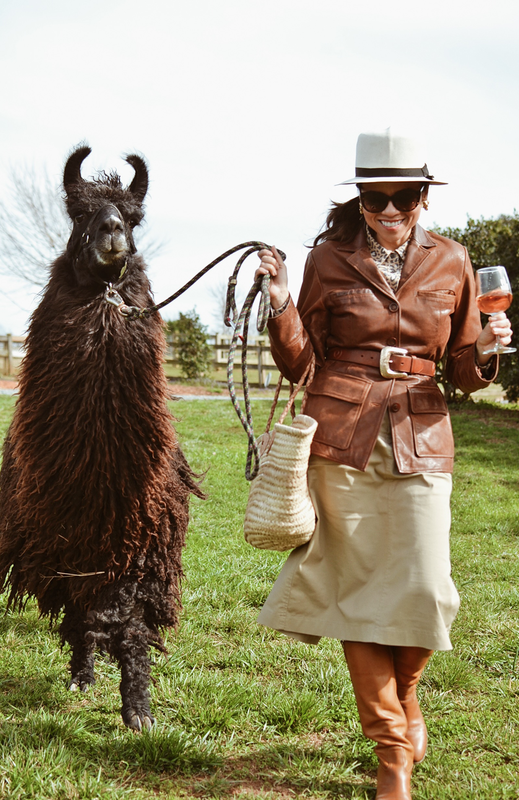 When I put this look together, I knew I was going to this particular vineyard, so I put on a look with neutral colors that would compliment the llama's. 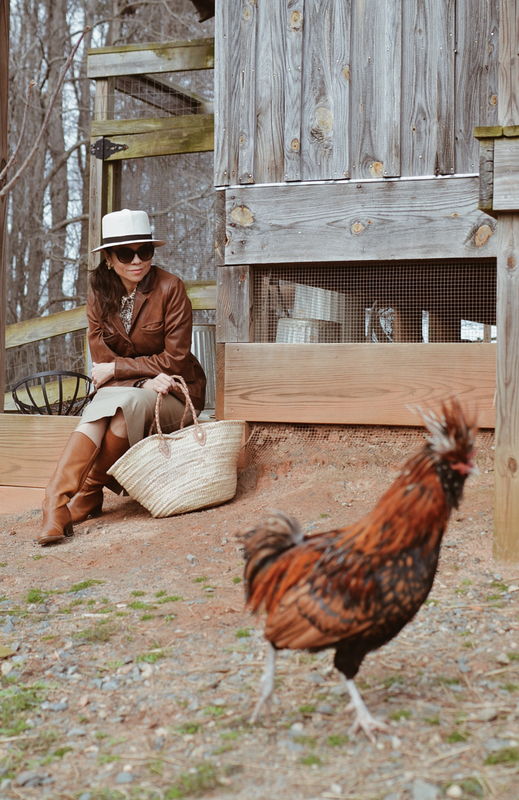 If you ask me, this look has a bit of a safari vibe, which ended up being fun for my destination. 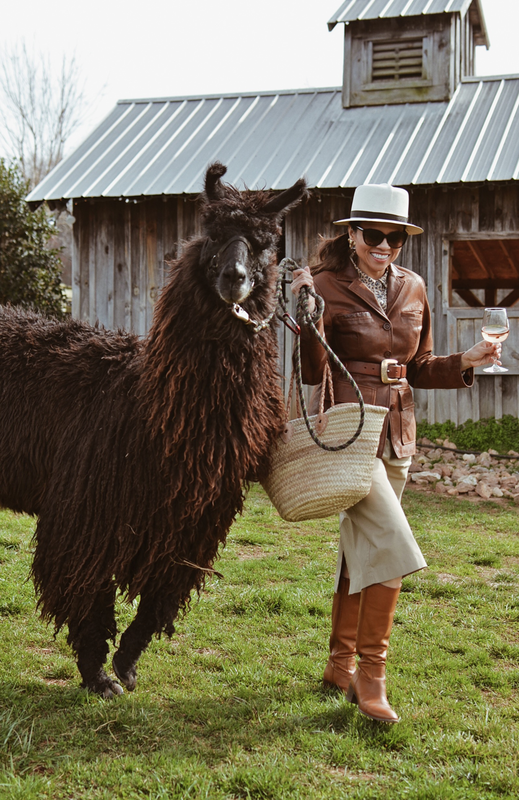 I was having so much fun at this vineyard. 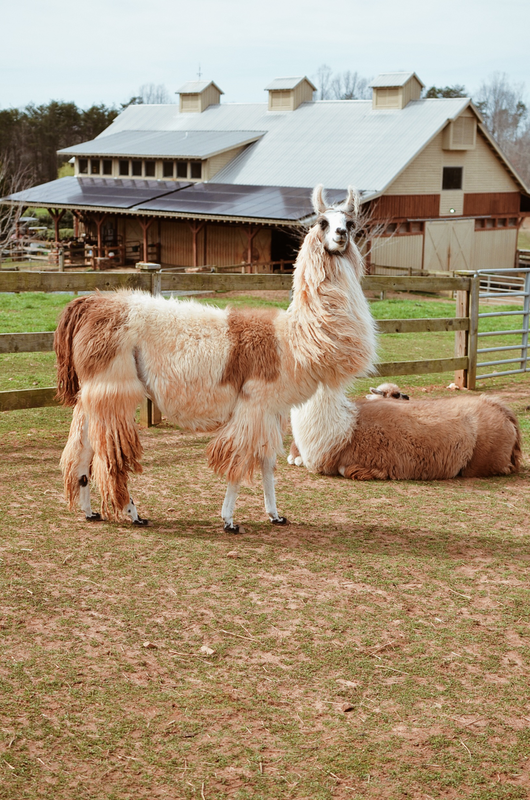 I enjoyed their delicious wine (the rosé named Rita) but the llamas were the highlight of my day. 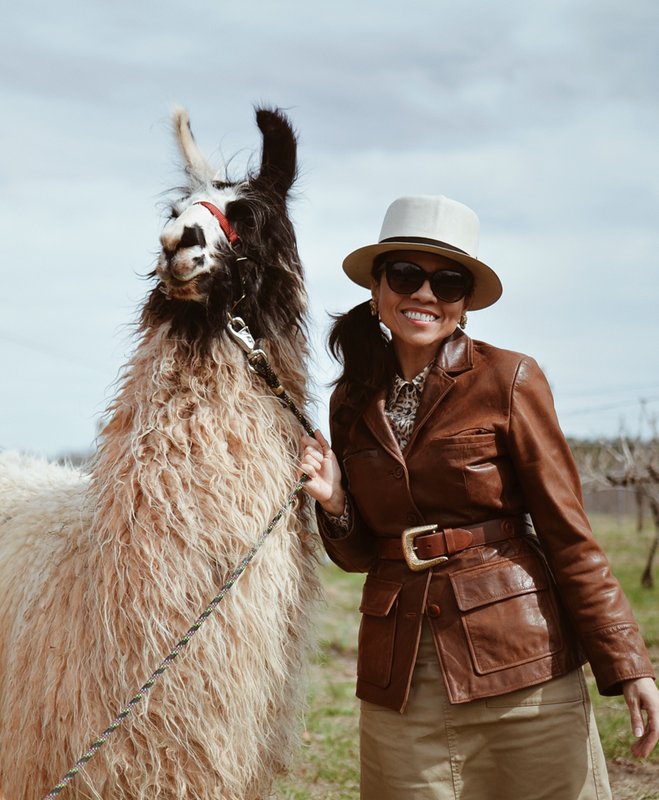 If you follow me on Instagram, you can check out my highlights (here and here) named "Wine Country". 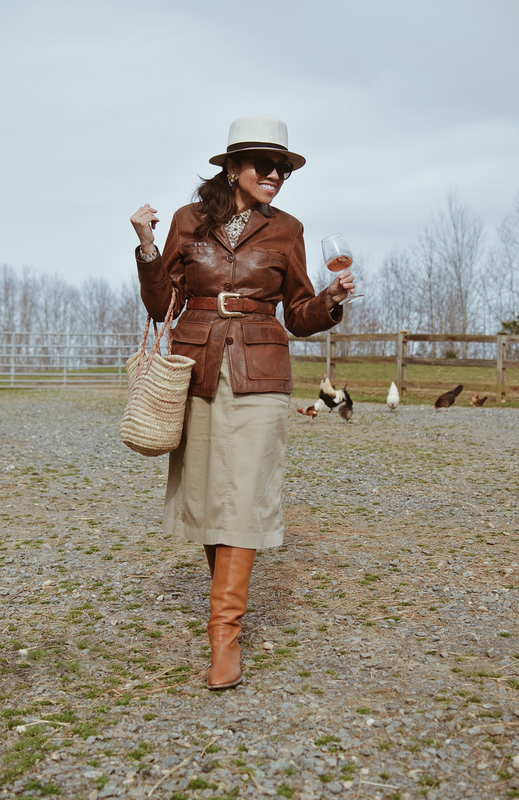 I love to post there videos of my trips to North Carolina wineries and here on the blog you can visit my "Wine Country Style." 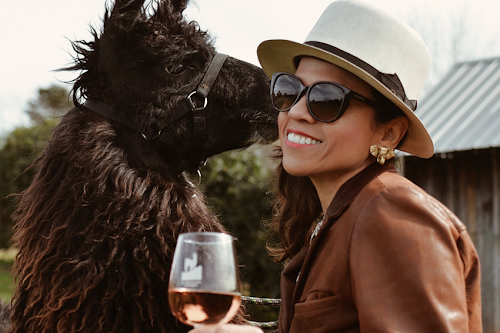 The looks under this category aren't only good for visiting vineyards but also appropriate for any casual weekend out in the country or even in town. Jacket: Vintage. Similar here, here, here and here/Shirt: Equipment. Similar/Skirt: Uniqlo/Boots: Gucci. Similar/Hat: Montecristi extra fino (Vintage). Similar/Sunglasses: Coach. 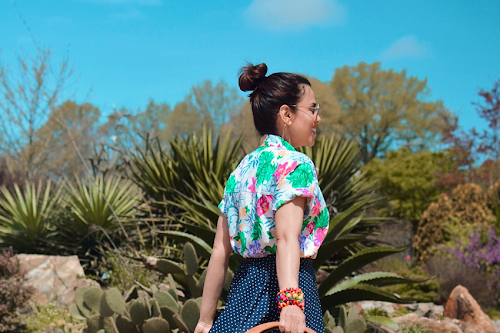 Similar/Bag: French Basket. Similar/Earrings: Vintage. 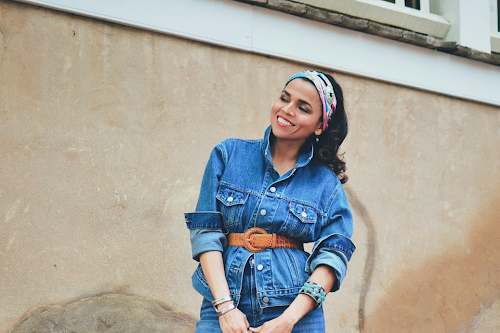 Similar/Belt: Vintage. Similar.